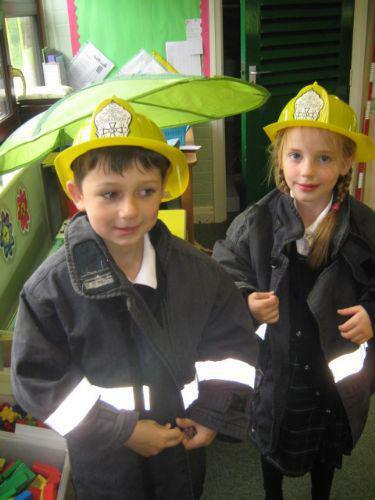 Today two fire officers visited our class to tell us all about how to stay safe if there was a fire in our house. All the children listened carefully and we even had our very own pretend castle fire! GET OUT! STAY OUT! CALL 999! We talked about the importance of having a working smoke alarm fitted in every house and the the Fire Officers handed out leaflets offering FREE smoke alarms for those who did not have one. Please talk to your children about what would happen in your house if there was ever to be a fire. Children have taken a Fire Plan home with them to help them to talk about what they would do.